Nicola and Nathan were treated to a beautiful autumn day for their Gold Creek wedding and we took full advantage of the great light and changing leaves too! 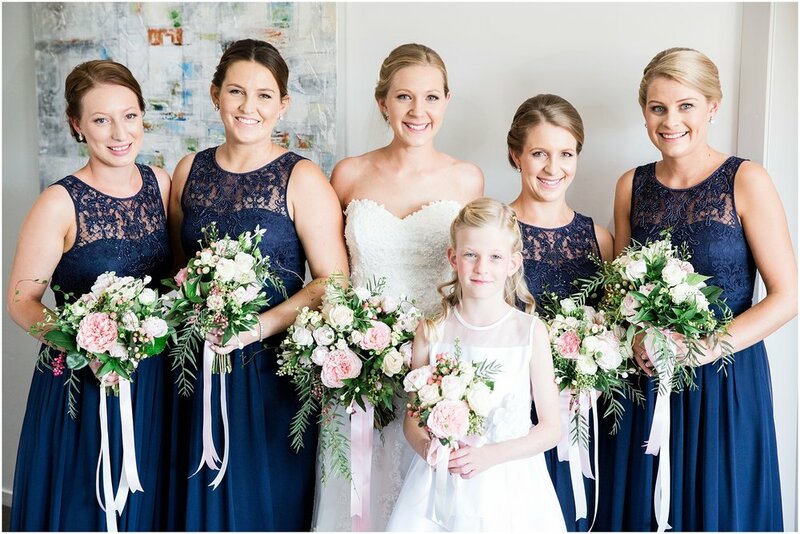 Nicola prepared for her wedding with her family and bridesmaids at Abode Gungahlin which offered spacious rooms and large windows that were great for those special bridal portraits. Nicola found her dream dress from Brides of Manuka in Fyshwick (which has since shut down) - it was a Maggie Sottero Couture beaded and lace dress which she fell in love with the second she tried it on! She had a few alterations once it arrived but thanks to her amazing seamstress at Mary’s Alterations her dress fit like a glove. I am a bit of a sucker for veils and Nicola purchased her beautiful veil at Nouveau Riche in Queanbeyan only a few weeks before the wedding. Her wedding shoes were from Wittner and were one of the first things she purchased once engaged. The bridesmaid dresses were from Forever New and they were navy, beaded, lace, silk and chiffon. The suits were from Roger David, they were grey with navy floral plaid ties and the groom (Nathan) wore a bowtie. The beautiful ladies at Blush Boutique in Gold Creek did Nicola's hair and makeup and what an amazing job they did! Both Sammie (makeup) & Sarah (hair stylist) were there on the day working their magic. The flowers were from Moxom & Whitney - Nicola said "I absolutely adored them, I honestly had no idea about flowers and I merely described the colour and a few flowers and they came up with the rest. 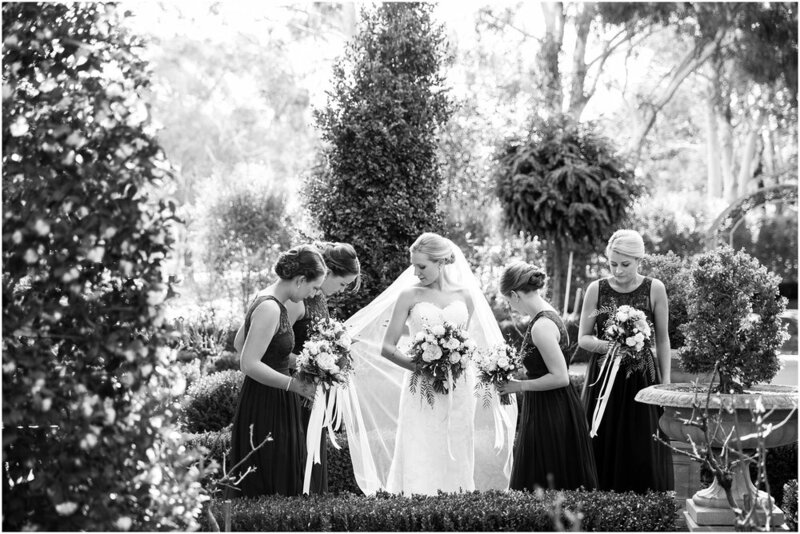 There were roses, and other flowers, foliage, berries, and the colour scheme was white, creams and pink with foliage"
The Chapel at Gold Creek was stunning as usual and the amazing Mary-Ann O’Sullivan was the couple's celebrant. 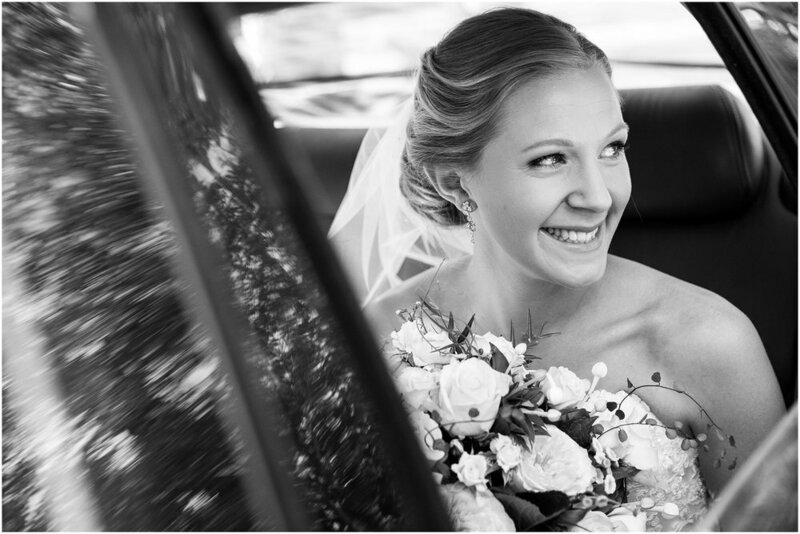 Nicola said "she was warm, very sincere and made us feel as relaxed and as calm as we could have during our ceremony at The Chapel at Gold Creek." We then had some time for some location shots around the beautiful gardens at the Gold Creek Chapel, the Gold creek village and the Hall showgrounds which were particularly beautiful at that time of year, there was some gorgeous late afternoon light which was perfect for photos! Their reception was held at Functions at Federation, where Kim was a dream and styled the venue wonderfully, Nicola discussed the colour theme with the flower centrepieces and the wedding favours (pink and navy stubby holders) and Kim did the rest! The style of our wedding was modern, clean and crisp. With a shadow box with hearts as a guest book and simply tied navy sashes on the chairs. The wedding cake was from Cakes Of Your Dreams in Queanbeyan, and finished with Moxom & Whitney flowers and shoe figurine heirlooms from Nicola's grandmother. It was 3 tier with vanilla, caramel and chocolate flavours. 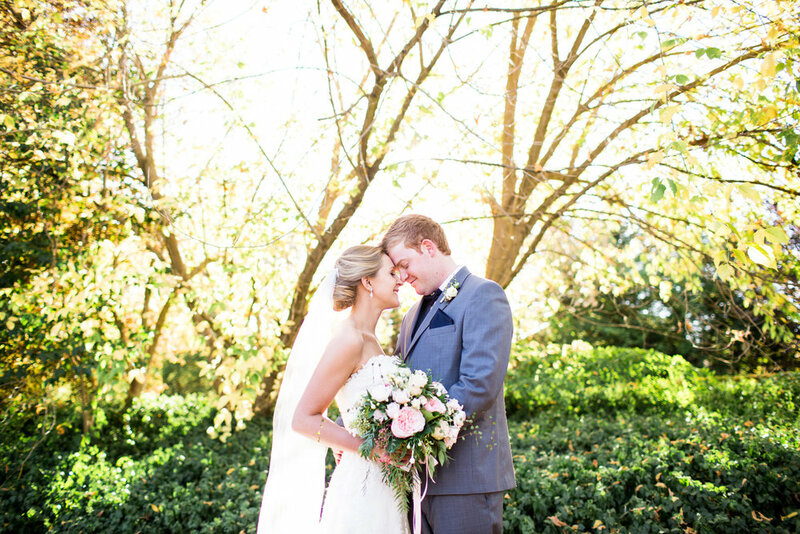 "I could not fault our beautiful wedding day and having you and Michael capture it was beyond amazing. My favourite memories of that day apart from marrying my soul mate was having so much fun taking photos with my husband and beloved bridal party. You made us all feel at ease and able to be ourselves and there were so many laughs and good times throughout. We visited Hall showground where there are so many great memories captured, many of my favourite photographs are taken amongst the trees and field stands there. Also a stand out photograph is amongst the autumn leaves just by the Chapel at Gold Creek where we had just left for the Hall showground but you and Michael decided to do a few impromptu husband and wife shots which have become household favourites for our families. What I love most about your work is nearly 1 year on I continue to find new favourite photographs each time I browse through them, the candid photographs are by far the most treasured; where we are merely trying to contain our excitement of just getting married!!" We respect your privacy and promise not to spam you with squillions of emails.